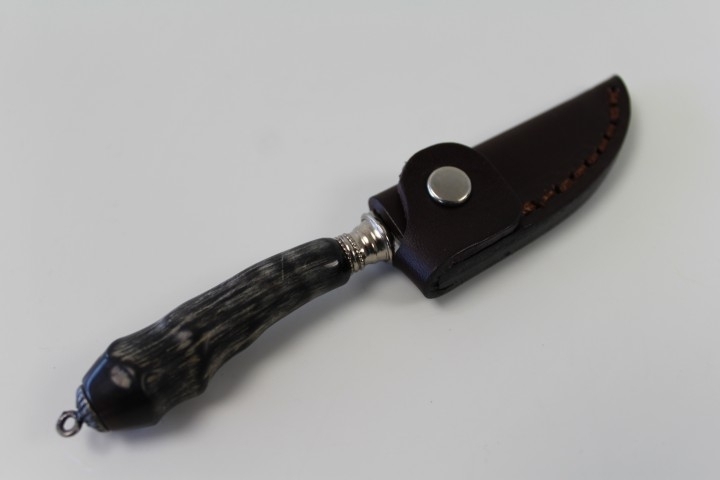 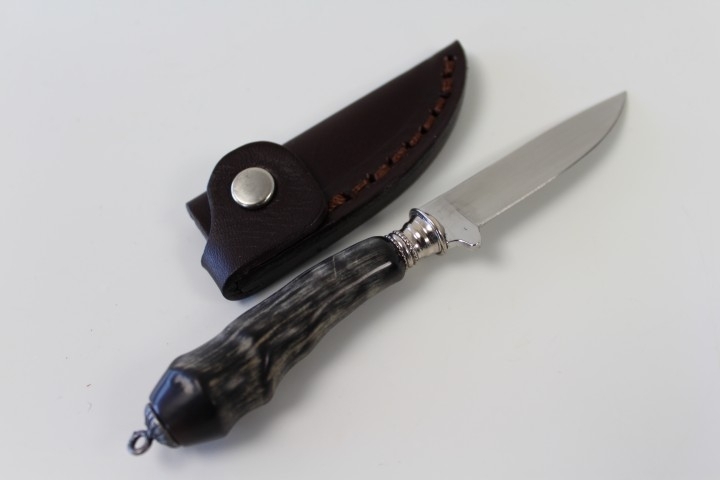 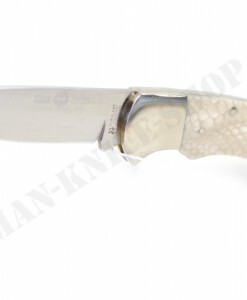 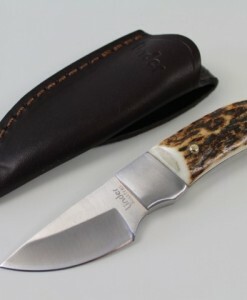 Small knife with stainless blade and leather sheath. 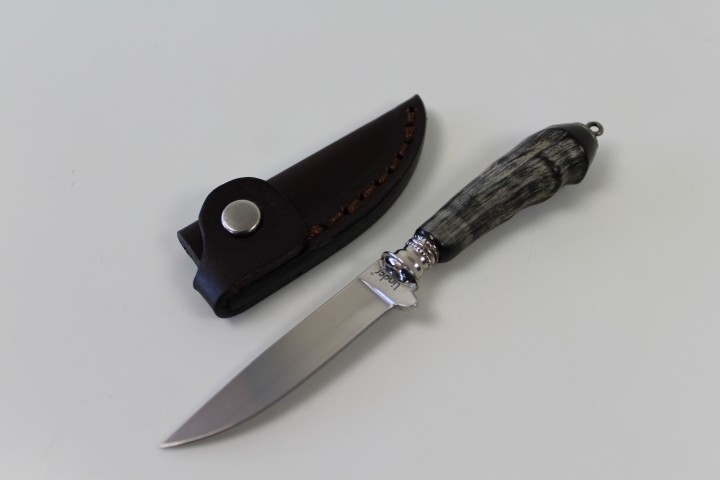 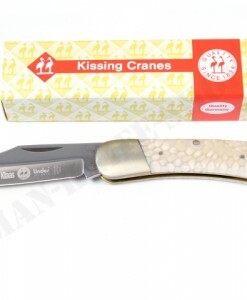 Antelope horn handle with lanyard eye. 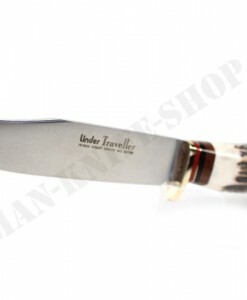 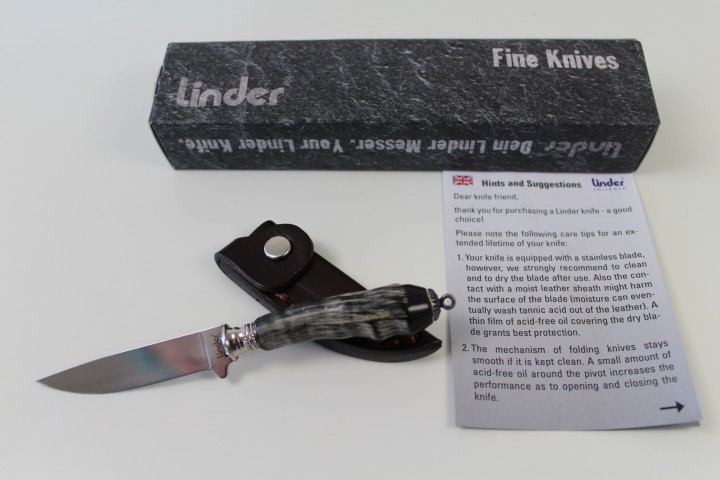 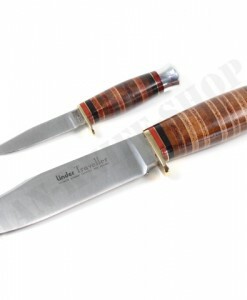 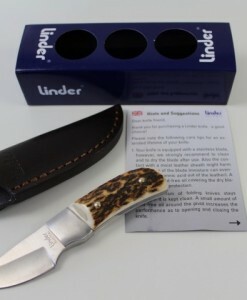 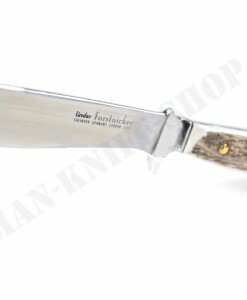 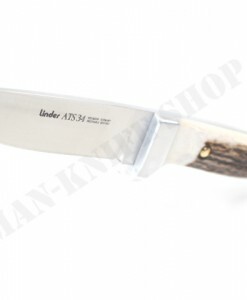 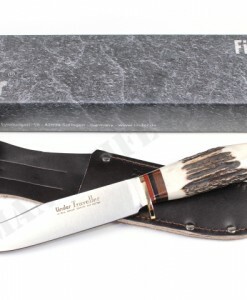 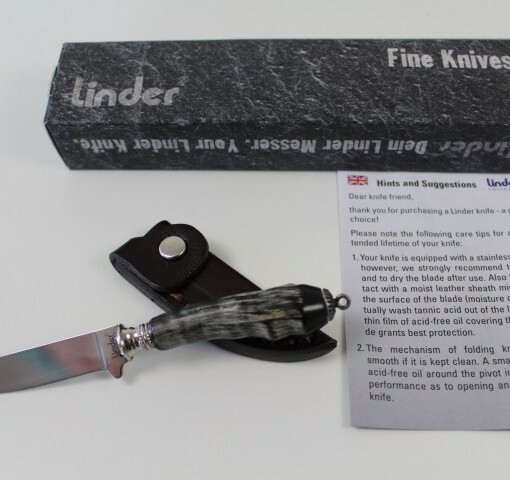 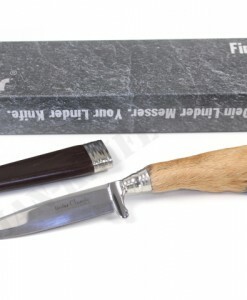 This is my first Linder Folklore Knife. 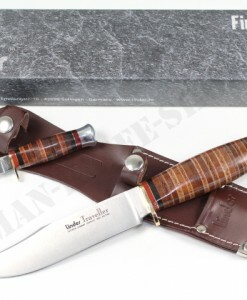 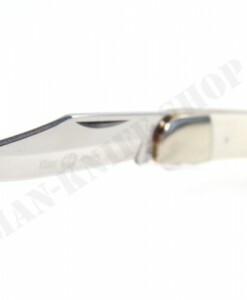 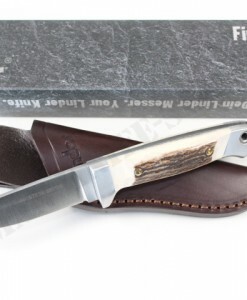 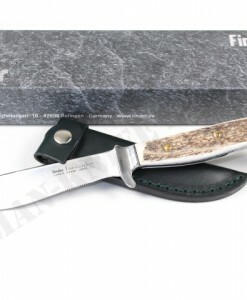 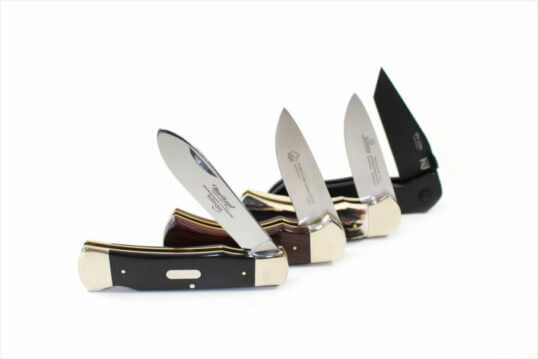 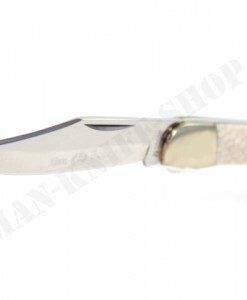 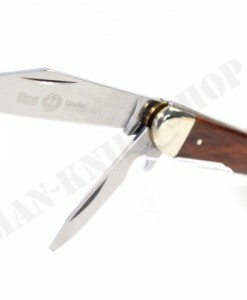 Perfect in size and weight and very versatile that even if I go out with this knife in my pocket, I will have NO problem with the authority since the blade is so thin and short. 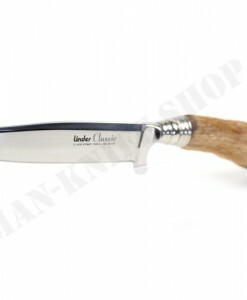 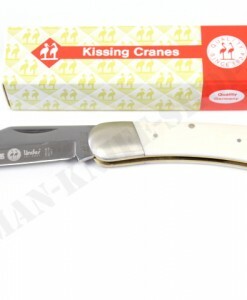 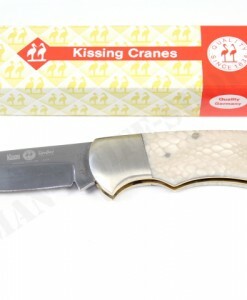 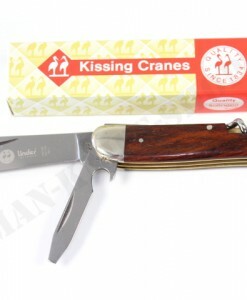 It could be my great companion and I will use it mainly as a letter opener.